Orange Juice 100% Squeezed Smooth Not from concentrate Our pure squeezed orange juice is sourced directly from the groves of the finest orange growers. Theyve been squeezed without the bits, resulting in the perfect balance between taste and consistency. And the smooth, light, fresh taste means you can enjoy more than one glass without getting that acidic feeling. So if youre eager for the orange, if you want to shout from the rooftops your undiluted love for orange, then the future is indeed bright. And the colour… yes you guessed it. Discover more. 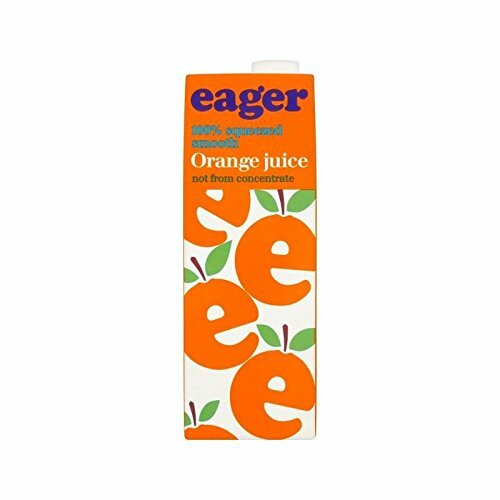 If patience and calm indifference dont feature in your personal dictionary and youre eager to know more about the range of fabulously good juices, then hot foot it to www.eagerdrinks.com Youll be hard pressed to find better. Pressed – get it? Oh please yourself.